Comparing the Type 26 to the U.S. Littoral Combat Ship (LCS) shows how wide a range the concept of modularity covers. 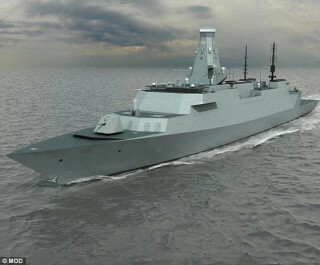 The Type 26 is a 5,500-ton frigate that can be built in one of at least two versions. In appearance it is a scaled-down Type 45 destroyer with the same sort of tower foremast, in this case topped by the Artisan three-dimensional radar rather than the big Sampson of the Type 45. 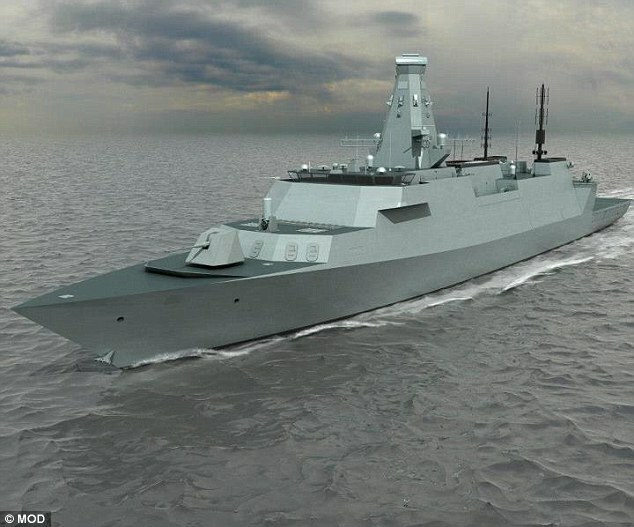 The Type 26 was conceived as part of a long-running project to design a Future Surface Combatant, which was originally to have been built in three versions of varying capability (and cost). The Type 26 is apparently the ASW variant, presumably a direct replacement for the current Type 23, with much the same systems as the projected modernized Type 23. They include the Sea Centor vertically launched suface-to-air missile (replacing the current Seawolf) and the Type 2087 low-frequency active-passive sonar (towed pinger plus array plus medium-frequency bow array). Sea Centor is an active-radar-guided derivative of the current British short-range air-to-air missile, also known as CAMMS (Common Modular Missile System). It uses an uplink for mid-course guidance. The ship will have a single gun, either the 4.5-inch currently standard in the Royal Navy, or perhaps a derivative of the U.S. 5-inch/62 (BAE owns United Defense, which makes the U.S. gun). There may be provision for a more powerful gun; in the past BAE has advertised a 155-mm gun within the footprint of its 4.5 inch. Article Keywords: frigate, LCS, Navy, Royal Navy, U.K.
Dr. Friedman is the author of The Naval Institute Guide to World Naval Weapon Systems , Fifth Edition, and Network-centric Warfare: How Navies Learned to Fight Smarter Through Three World Wars , available from the Naval Institute Press at www.usni.org.